The Pittsburgh Promise was supposed to get more city youths into college. So why are so many black males left out of the equation? "If you're not getting the Promise, you're clearly not getting the same opportunities as someone who is." It's less than one month before graduation, and Obama Academy student Donald Lewis can't wait to begin college at Robert Morris University in the fall. It's been a great senior year for the 17-year-old and, overall, he's had a bright scholastic career. He was a member of both Obama's swim team and wrestling team for three years, and during the summer he works as a lifeguard. This past February, he was named the school's King of Mardi Gras. And right now, he's preparing to meet with representatives from the U.S. Department of Justice to lend his voice to the national My Brother's Keeper initiative, which serves to close the opportunity gap for young black men. Lewis has come a long way from earning a 1.8 grade-point average in 10th grade (the year his father died) to earning a 3.7 this past semester. There's just one problem. Despite working hard to turn his academic career around, he recently found out he won't be receiving the Pittsburgh Promise, a $40,000 post-secondary scholarship for students in the Pittsburgh Public School District. "I'm pretty upset because I was convinced that there was a good chance of me getting the Promise," Lewis says. Unfortunately, his predicament has become the norm for black male students in the Pittsburgh Public Schools. Lewis and his peers are half as likely to receive a Promise scholarship as every other major student group in the district. To date, African-American males make up just 13 percent of Promise recipients, despite comprising 27 percent of the student population. But this disparity isn't unique to the Pittsburgh Promise. Across the country, African-American males lag behind other groups in a number of academic indicators, like test scores and graduation rates. Some say the effects of traumatic experiences and poverty have built barriers too high for black males to see beyond. Most experts agree that the inequity in Promise distribution is yet another way to measure how the district has failed this vulnerable population. "We have a system of separate and unequal schools in Pittsburgh, that provide separate and unequal opportunities, and that naturally leads to separate and unequal outcomes," says Joseph Kennedy, head of the Fix the Promise campaign. There are some programs making headway in reducing these opportunity gaps. 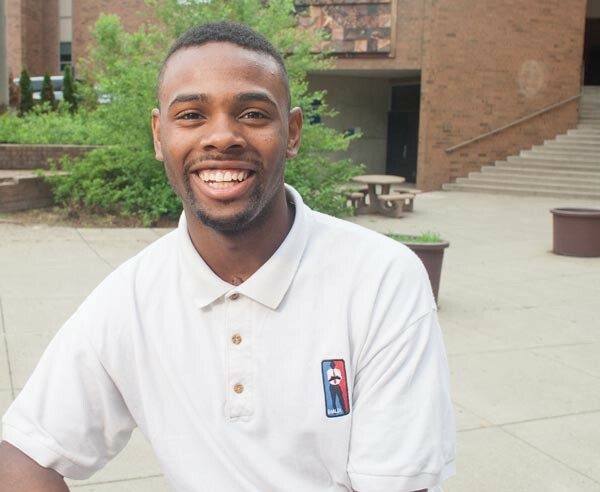 For example, the district's We Promise program, which connects black males to mentors, has been a lifeboat for a number of students, including Lewis. But activists argue that these programs don't go far enough, and that requirements for Promise eligibility maintain a system where the group perhaps most in need of financial aid, is least likely to attain it. "If you're not getting the Promise, you're clearly not getting the same opportunities as someone who is getting the Promise," says Lewis. "There are a lot of lower-income families out there who can't afford to go to college and depend on the Promise. That means a lot more African Americans won't be in college, and that's a big issue, because if we can't afford to go to college, what are we going to do, just sit on the corner selling drugs?"